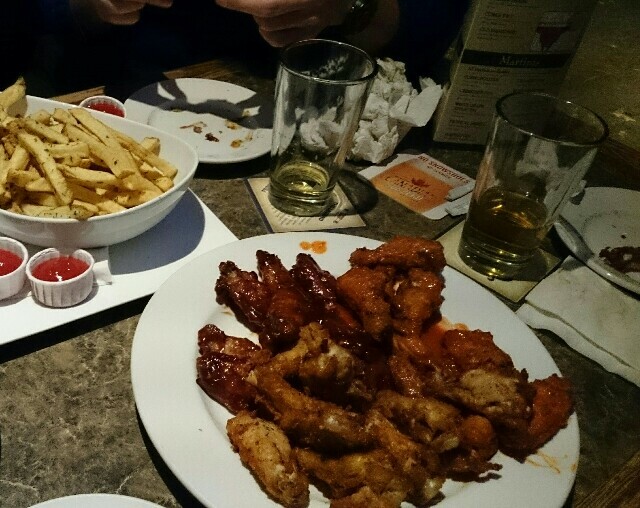 We can eat chicken wings at half-price at pub near college on Wednesday. So, I and my friends went to there after school. We need have ID that is written your birthday and year when we enter the pub. This is chicken wings. Japanese name is tebasaki. This go very well with beer. And this have many flavor. Salt-pepper was the best flavor. Our group is 4 boys. So conversation is excited.